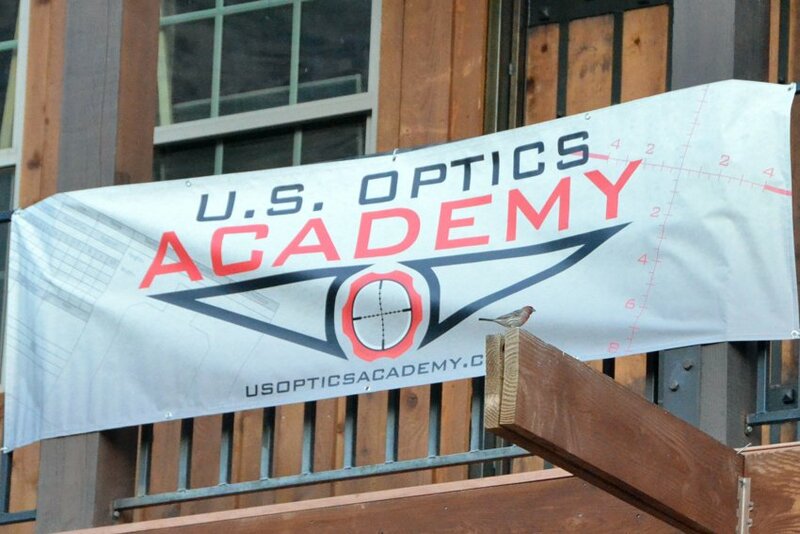 The US Optics Academy began as an idea to incentivize US Optics dealers. 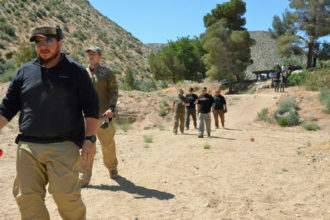 If they met certain goals, they’d be able to send two employees down to Apple Valley, California to the US Optics Academy for a two-day long range shooting class. 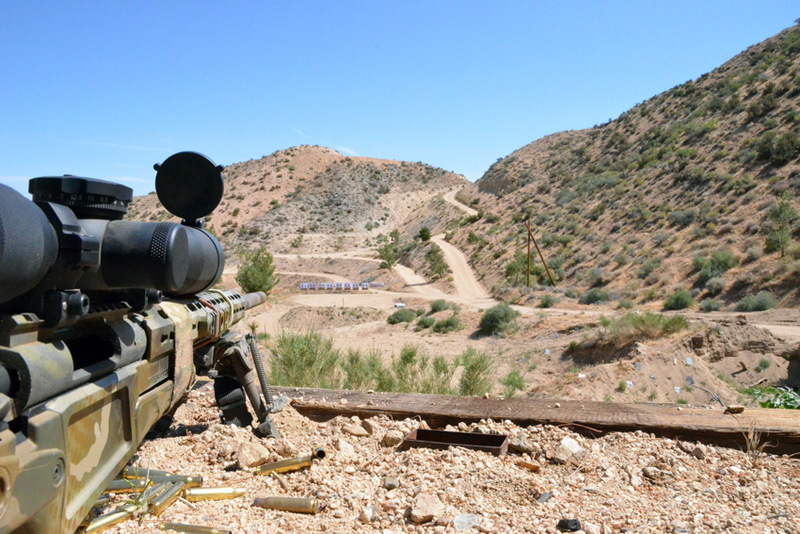 I’ve never shot long distance for a living and had previously been self taught until around 2011, when I took a seven day “Advanced Sniper/Counter-sniper” course down in Arizona. There I learned just how much I’d been doing wrong for so long. 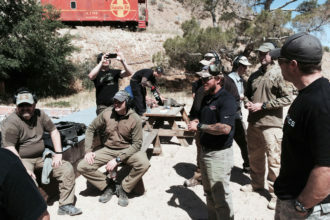 Since then, I’ve competed in a few long-range shooting contests, including the inaugural “24 Hour Sniper Adventure Challenge” put on by Competition Dynamics. While I’ve had some experience, I’m far from being a professional and was able to learn a ton of new things from the experience at the US Optics Academy. I was also able to brush up on some concepts that had become a little rusty over the past few years. Monday night, we were picked up at Los Angeles International Airport and driven out to the lodge where US Optics Academy holds the training. It’s about an hour and a half from LA, up in the high desert, within the mouth of a horseshoe-shaped valley. 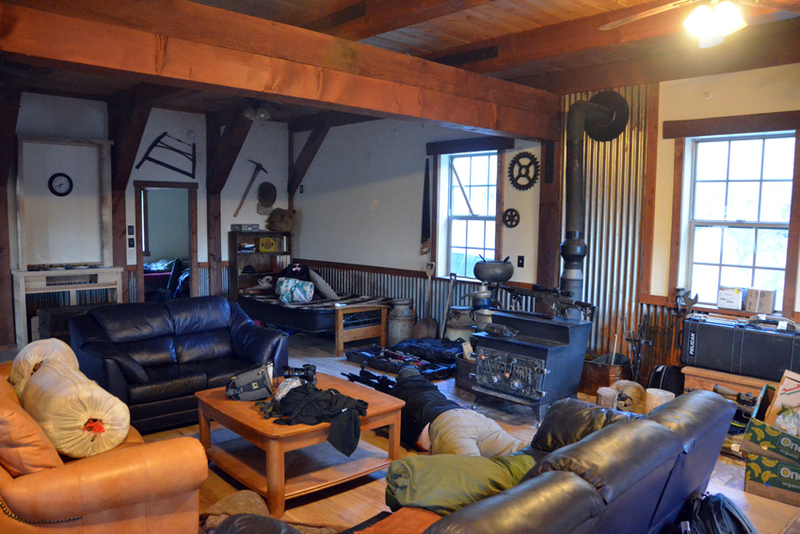 The lodge itself was a colossal building, originally started as a silver mine shack for mine workers and eventually growing to the size it is now. We all grabbed a bunk upstairs on the third floor, dropped off our gear, socialized for a bit down in the main room or outside on the deck and then hit the rack in order to be ready for class the next day. As it does every day, my internal alarm clock woke me up at 0555 hours, which gave me plenty of time to slowly get ready for the day. George from US Optics cooked up a massive breakfast of bacon, eggs and some great coffee, which we gobbled down before the 0800 start of the classroom portion of day one. 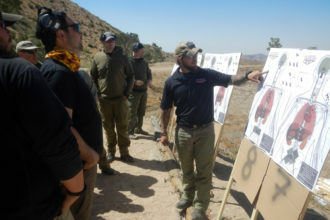 When class started we were formally introduced to Tyler Hughes, who was leading the inaugural academy, as well as all the US Optics people who were there to help. 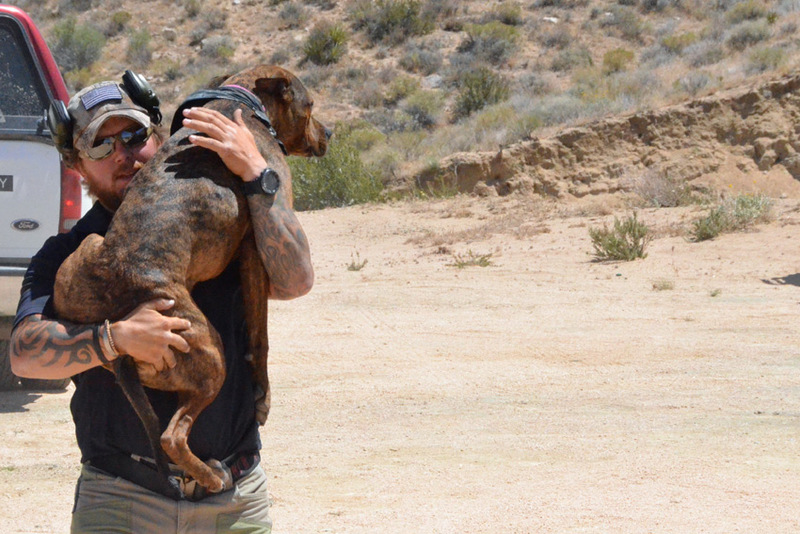 Tyler is a former Marine with ten years of combat experience as a Scout Sniper, Scout Sniper Team Leader, Scout Sniper Platoon Leader and a host of other positions here in the United States, Iraq and Afghanistan. 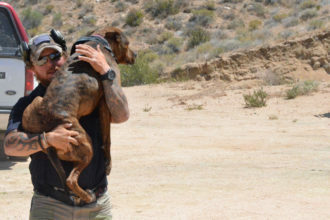 Tyler has succeeded in pretty much every class the Marine Corps offered in long range shooting, graduating with honors from Scout Sniper Training, Mountain Sniper and Urban Sniper courses. During the classroom time, we covered basic scope nomenclature and scope function; how the scope itself works and how the user of the scope adjusts it. For this class, the scopes we were using were mainly US Optics glass, though that isn’t a requirement to take the class; any scope that has adjustable elevation and windage turrets will work. Dual and single focal plane scope functionality was explained, as well as the benefits and drawbacks of each. Additionally we dug into Minutes Of Angle and Milliradians, which is where mathematics made its first appearance. 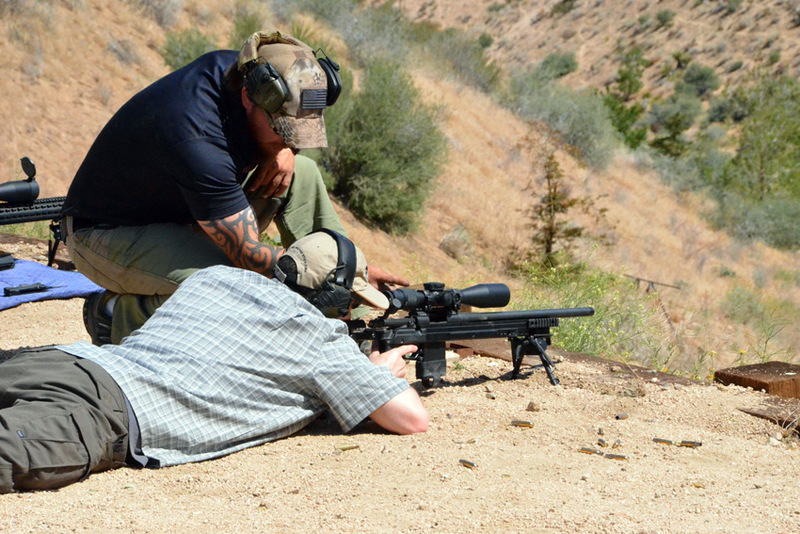 For many shooters, one of the most intimidating aspects of long range shooting is the math involved. This portion of instruction can be like “drinking from a firehose,” where you’re presented with a great deal of information at a rapid pace, but repetition will usually make these things clearer to most. MOA, or “Minute Of Angle,” is an angular unit of measure describing a standard portion of a degree. There are 60 Minutes of Angle per degree and 360 degrees in a circle. This makes for 21,600 minutes of angle per circle. With a circle of 100 yards, one true Minute of Angle (tMOA) equals 1.047 inches. 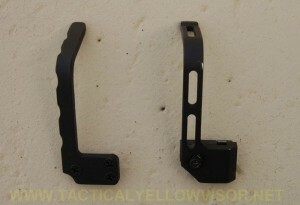 For simplicity, this is usually rounded down to 1” at 100 yards, 2” at 200 yards, 4” at 400 yards and so forth. There are several types of scopes capable of a variety of adjustments of Minute of Angle, from 1 MOA adjustments down to 1/8 MOA adjustments. 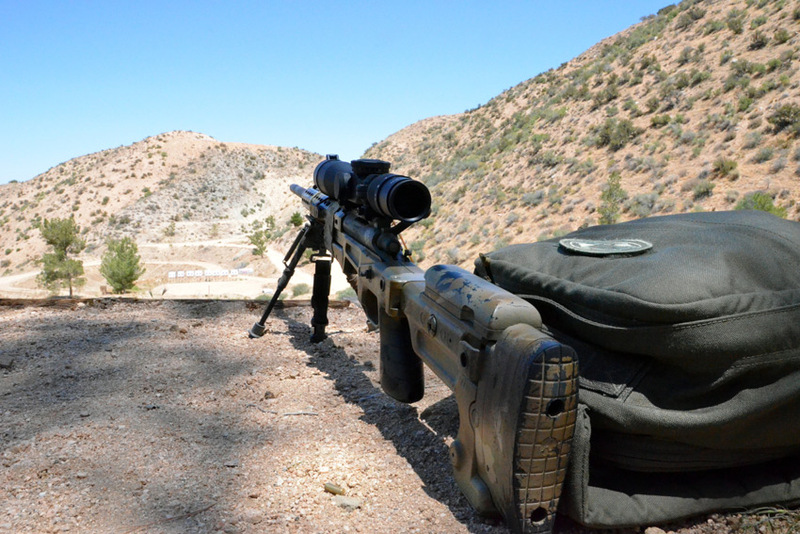 The most common type of MOA adjustment for most tactical/precision shooting is ¼ MOA, meaning each click of adjustment is equal to .25” at 100 yards. There are also a few other measurement types, IPHY (Inches Per Hundred Yards) and SMOA (Shooter Minutes of Angle). These were explained, but weren’t really pertinent to our class, as everyone would be dealing with normal MOA adjustments on the scopes we were using. Why would you ever want to do this? Well, if you’re shooting with a spotter and one of you has a Milliradian scope while the other has a MOA scope, converting between the two can be crucial to making proper adjustments. It also comes in handy when using off the shelf ammunition that may have data on your ammo’s drop (at given yardage), in a unit of measurement your scope isn’t setup for. 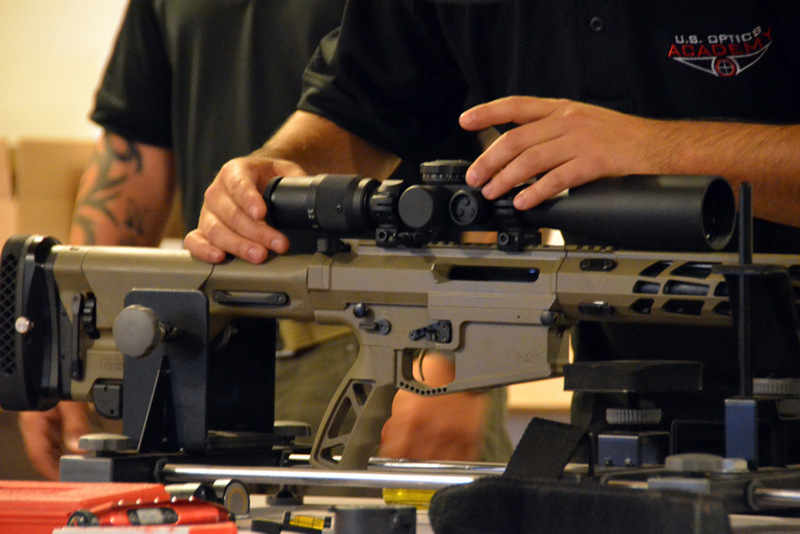 Luckily for our class, everyone was using MOA scopes, so the adjustments weren’t necessary as they would be if some had MIL scopes. 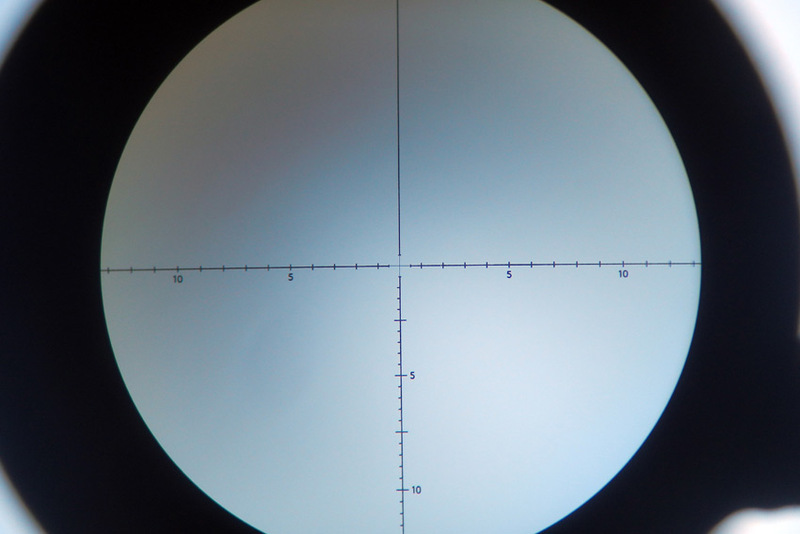 Fresh off the math deluge, we moved on to reticle variations (MIL GAP, PC MOA, MPR, HORUS H-37 and others) before learning how to mount a scope. Next on the agenda was the proper technique for mounting a scope on a rifle. 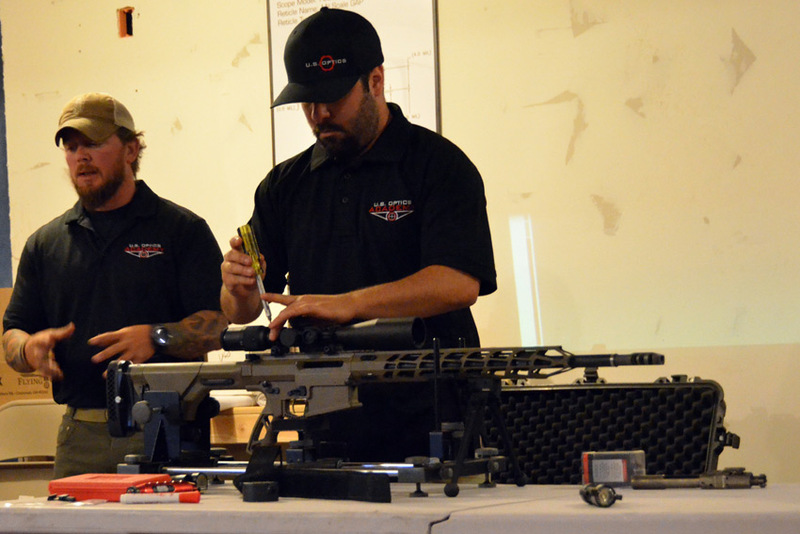 Tyler handed the class over to Chris Rohan from US Optics, who walked us through the process of how to properly mount a scope on a rifle. 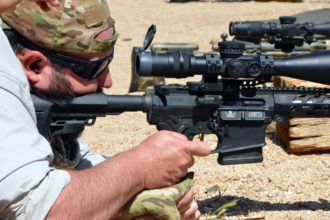 He placed key emphasis on determining the proper length of pull (distance between the inside of the elbow and the trigger finger), selecting the best location on the top of the rifle to attach the scope for use with a proper sight picture (based on the shooter’s intended cheek weld) and the importance of maintaining a level rifle throughout the process. Confirming that the scope is level, is important so that both are parallel with each other. Chris also showed us how the objective lens absorbs light above and beyond what is viewed through the ocular lens and the difference in size of the “exit pupil” between different scopes. 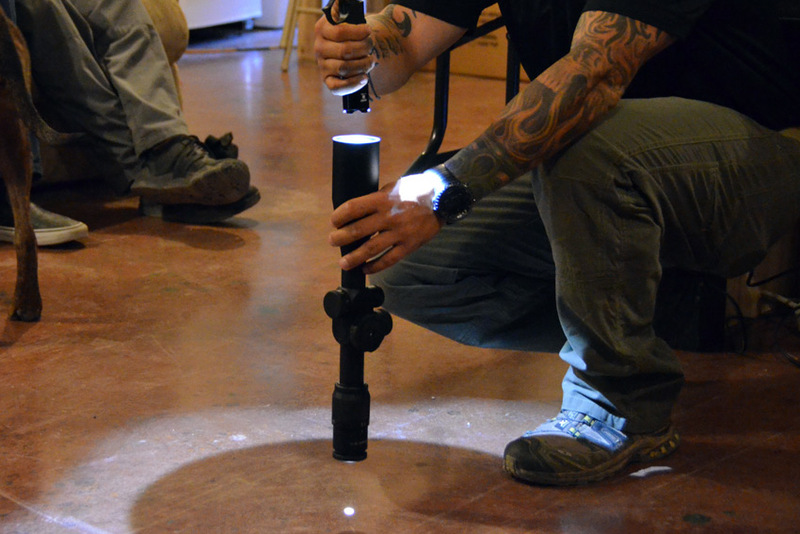 This light gathering function of the objective lens allows for snipers in the field to tape off significant portions of the objective lens, reducing the likelihood they will be spotted by reducing the reflective surface area of the objective lens. After Chris finished mounting a scope on Jesse James’s rifle as an example, he handed the metaphoric microphone back to Tyler, who went through a thorough explanation of fundamental marksmanship aspects. 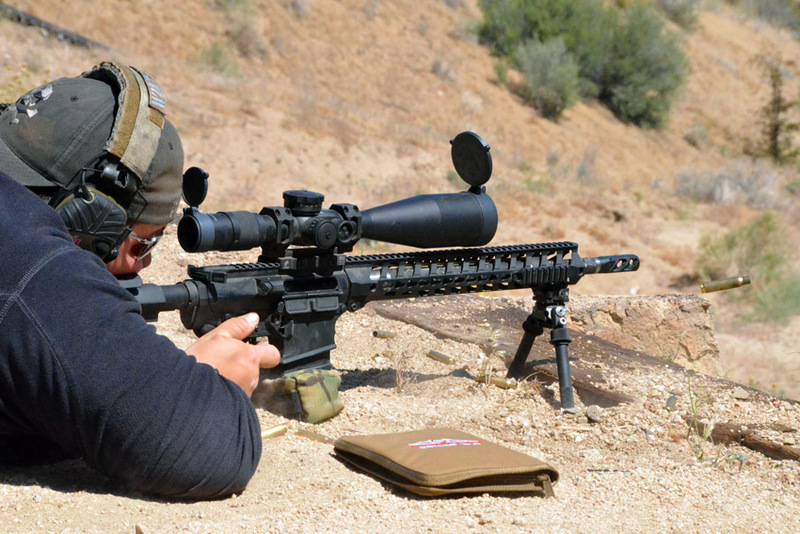 Bone support, muscular relaxation and a natural point of aim, all work together to ensure a shooter can accurately operate the rifle with the greatest stability and minimum margin of potential error. The aiming process, encompassing good eye relief, solid sight alignment, sight picture and effective control of the parallax effect (the apparent movement of the reticle across the target with slight head movement), was explained in great detail. 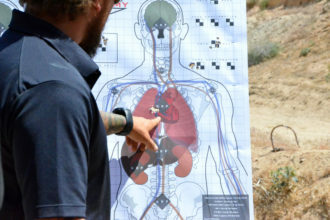 He then covered conditions to fire, including natural breathing, shooting when you have exhaled entirely, trigger control, cardio-pulmonary pause shooting (between heartbeats), proper trigger finger placement, motion and follow-through. Before we moved out on the range to start shooting, we went over the various aspects of external ballistics. 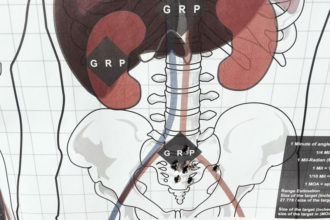 For example, how a bullet flies, drops and the various factors that effect it enroute to the target. This includes gravity, drag, atmospheric variables, temperature, humidity and others. We also briefly touched on high angle shooting, though we didn’t get around to exercising the high angle principles in the field. After lunch, we moved out to the 100 yard range and everyone went through the process of shooting through the chronograph to get an accurate reading on muzzle velocity for the ammunition they were shooting. This went fairly smoothly, aside from Monkey (of Four Guys Guns) accidentally shooting one of the chronograph’s arms, causing a small delay (and a series of jokes amongst the attendees). We then set about zeroing our rifles on the 100 yard paper targets set up for us. 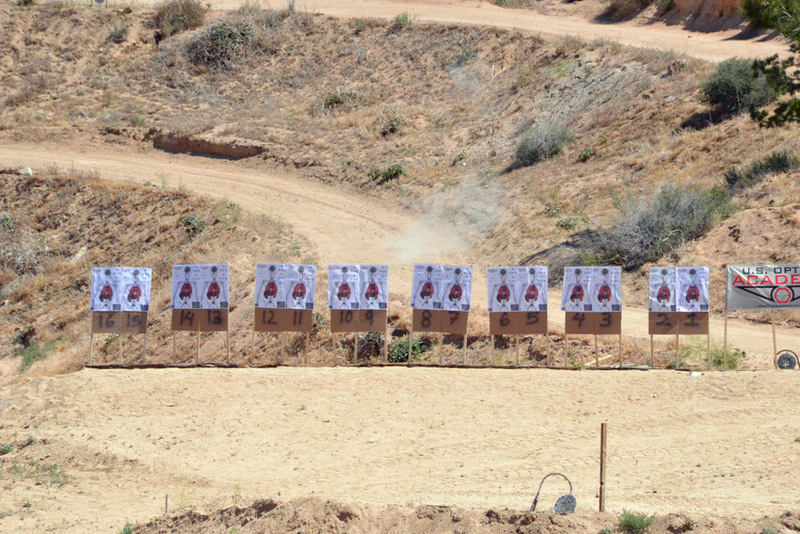 After everyone had a fairly accurate zero, we ran some grouping exercises including a blind-shot natural point of aim/sight picture exercise and a mild-stress sight-picture exercise. 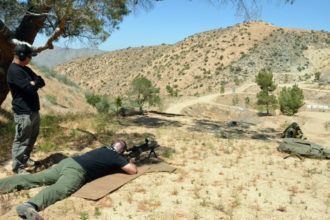 In this exercise, the shooter would fire, get up, run back to get another single round of ammunition from their hat on the ground 10 yards behind them and then return to the rifle to fire each subsequent round. During all of these exercises, the importance of the fundamentals became more and more evident. 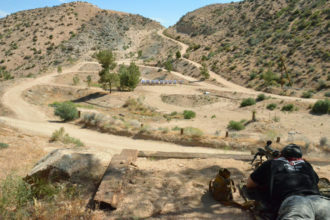 After the grouping exercises, we had a competition where two shooters shot at a “dueling tree” from about 150 yards with the goal of knocking all the plates over to the other shooter’s side. The bolt action rifle people battled each other one by one and then the semi-automatic shooters battled each other. 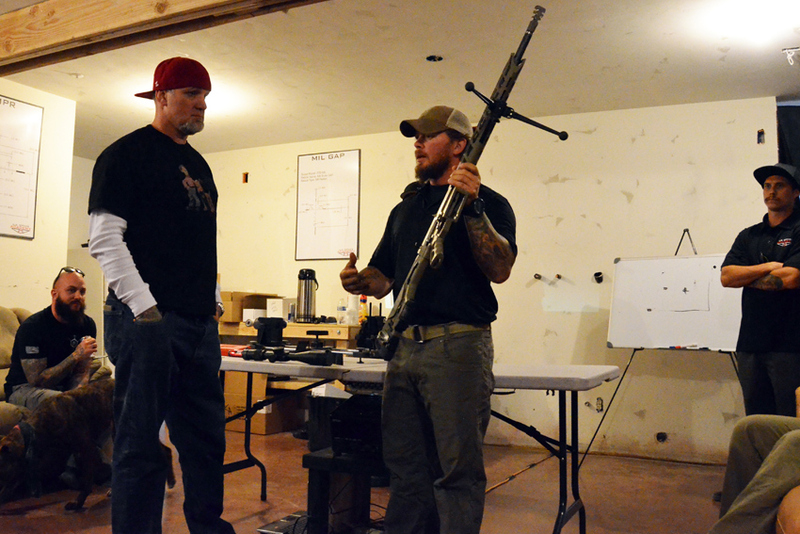 At the end, the champion of the bolt rifle shooters went up against the semi-auto champion. Monkey took the honors for the bolt-action shooters, winning against Clint Walker for the semi-auto shooters. Thus illustrating that in precision shooting, chambering your next round is not necessarily the determining factor in the combination of accuracy and speed. After this friendly competition, we headed up the hill for the long range platform to gather elevation data on our rifles and ammunition. We ignored wind calls for the day, as we’d be covering wind the next morning. Shooters worked with each other, Tyler and the US Optics folks, to get precise data on elevation settings for targets at 200, 300, 400, 500, 600, 700, 800, 900 and 1000 yards spread throughout the horseshoe valley. The wind picked up the longer we were there, resulting in mouths or eyes full of dust and small rocks, but most of us were able to record data in our DOPE books. This made the next day’s exercises a lot easier. 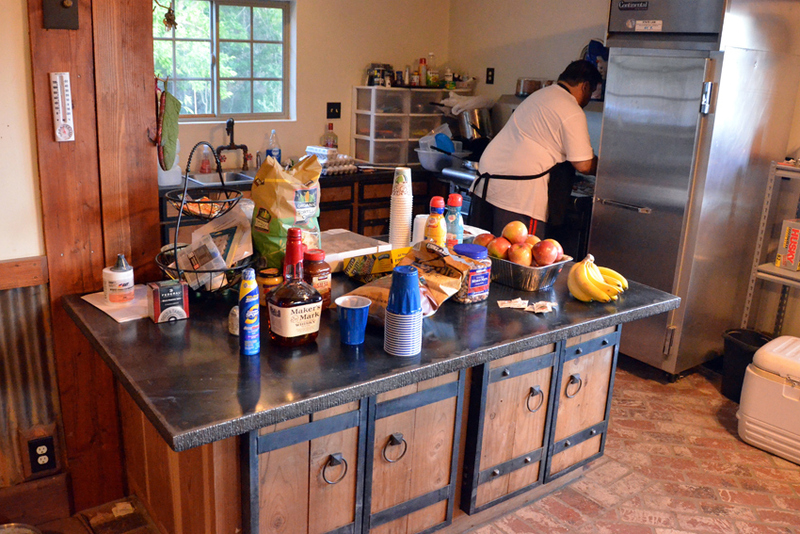 We then returned down the hill to the lodge and enjoyed a fine dinner of catered Chipotle options. 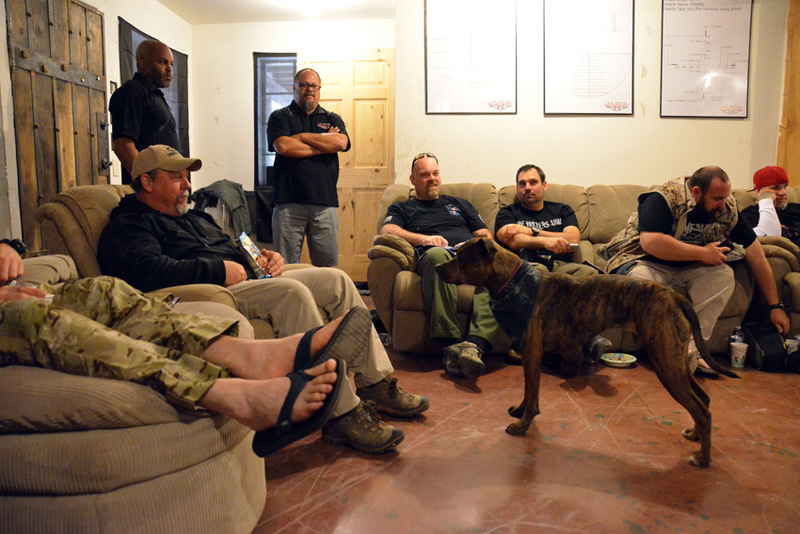 After the food, beverages and socializing, everyone hit the rack in order to prep for the next day’s training. Wednesday morning we awoke to the sweet smell of bacon and coffee, which we consumed prior to our 0800 classroom start time. We started off by digging into various engagement skills, starting with wind. Determining wind speed at the location you’re shooting from is important, but it’s also important to have an idea of the wind speed at the location of the target and everywhere in between. Wind is not a unidirectional force and tends to move through terrain much the same way water does. 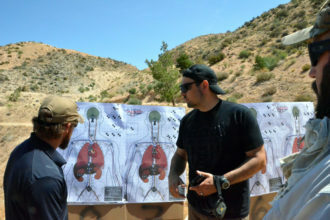 Tyler taught us visual indicators to look for to help determine the direction and speed of wind further down range. 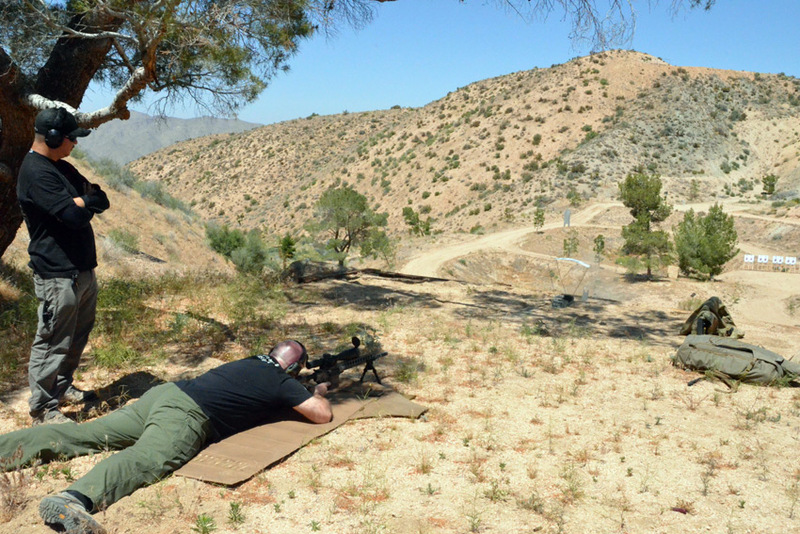 We then tried the wind formula we’d learned in a few different example exercises and found it fairly effective in offering accurate adjustments for shooting in any given wind speed and at any given distance. However, it’s a little more complicated than I want to dig into with this article. 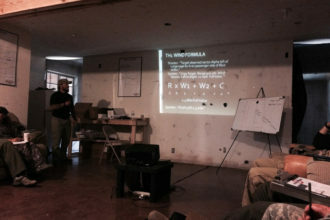 I’ll simply say that I learned more about making accurate wind calls in this two-day course than I did in a much longer course I’d taken previously. We also went over the effects of spin drift, with the basic take-away being that it becomes a factor at about 600 yards. 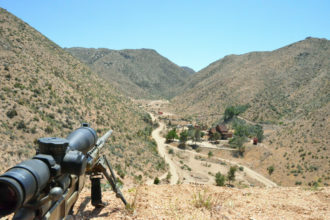 You’ll find the bullet moving .2 mils right per 100 yards at that point. We then touched on how to read wind at distance, by looking for mirage effects and were provided diagrams to estimate the speed at the location of the mirage between 0 MPH and 12 MPH. Winds any faster than that will effectively sweep the mirage effect away. 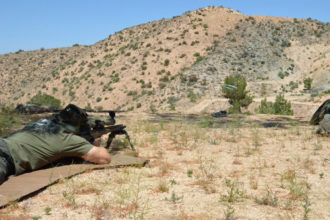 At this point in the morning, we moved out to the 100 yard line again in order to confirm zero on our rifles and then engaged in a 10 round competitive grouping exercise. After this competition, we headed up to the long range platform, ate some lunch and then partnered up to begin the process of getting each shooter to hit those same targets we had gathered elevation data on the day before. 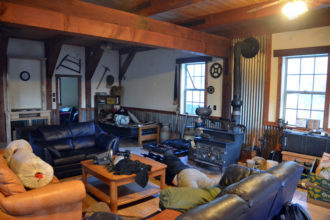 Since we were partnered, the goal was to have half of the people shooting, with the other half spotting for them. 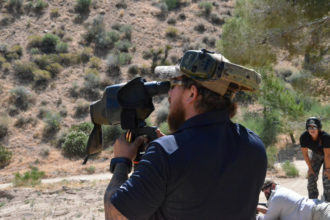 The US Optics Academy personnel also spotted as backup with spotting scopes, in the event the shooter’s spotter didn’t have a call to suggest. I was in the first group of shooters and with the help of good spotting, was pleased to hit every target from 200 yards, out to 1000 yards. One thing that becomes readily apparent in an exercise like this is the importance of making an easy-to-understand adjustment call. 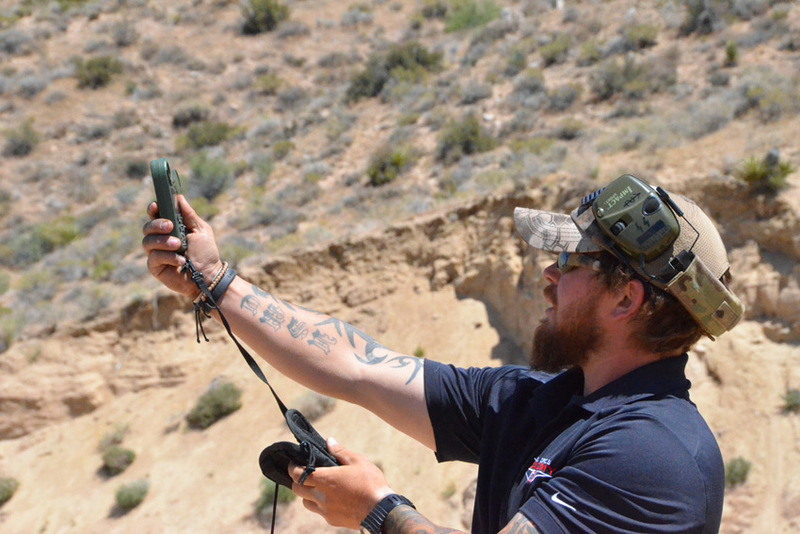 “You hit left and low of the target” is not nearly as useful as “Hold right shoulder.” Short, informative and uniformly worded hold-calls enable the shooter to take a follow-on shot before the wind changes, rendering such a call inaccurate. Before the shooters and spotters swapped roles, we took a brief break and felt the wind picked up quite a bit. According to Tyler’s Kestrel readings, what had been between 15-20 MPH, quickly became 20-32 MPH. You could feel the difference on your face with the bursts of dust and small rocks that would pelt it. However, the second group of shooters were pretty effective at hitting those same targets despite the near-constant 30 MPH winds. We finished up mid-afternoon at the long range platform and headed back down to the 100 yard line for a little morale-boosting competition before shutting down and packing up our gear. Amusingly enough, our dinner delivery driver had no trouble getting out to the lodge to make his delivery, but got a little confused trying to get back out of the lodge. She insisted she could figure it out as she had her map application on her phone. It wasn’t much use to her though, given the lack of cellular coverage in the valley. She did eventually figure it out on her own though. 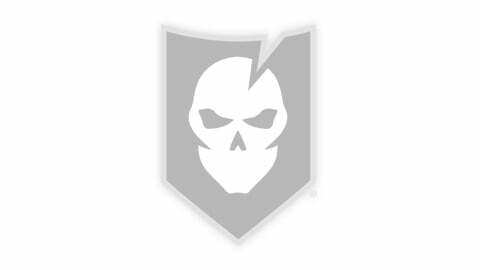 As I mentioned earlier, I took a 7 day “Advanced Sniper/Counter-Sniper” class a few years ago from another school and learned quite a bit. However, that class costed over three times as much, before calculating hotel and car rental expenses. It also covered a lot of material that as a civilian, I’ll likely never see the opportunity to use. 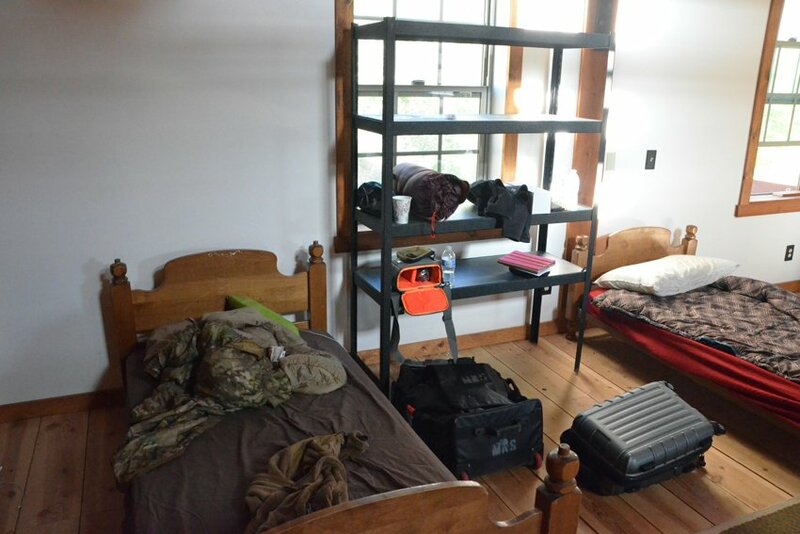 While things like building a ghillie suit, constructing an urban hide are great, it was also a full seven days of instruction. A lot of people who may want to learn how to effectively shoot long distances, may be hesitant to spend that kind of money and invest that much of the limited vacation time they have to do so. 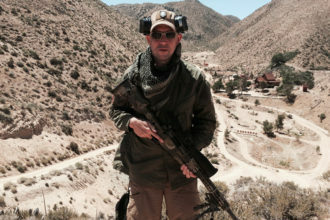 That being said, the US Optics Academy offers a fantastic value to just this sort of person. If you’ve ever wanted to extend your accurate shooting radius to 1000 yards (or even to 1500, as there are targets at the facility out to this distance) and learn some solid fundamentals that will more than likely improve all the shooting you do, the US Optics Academy might be right up your alley. 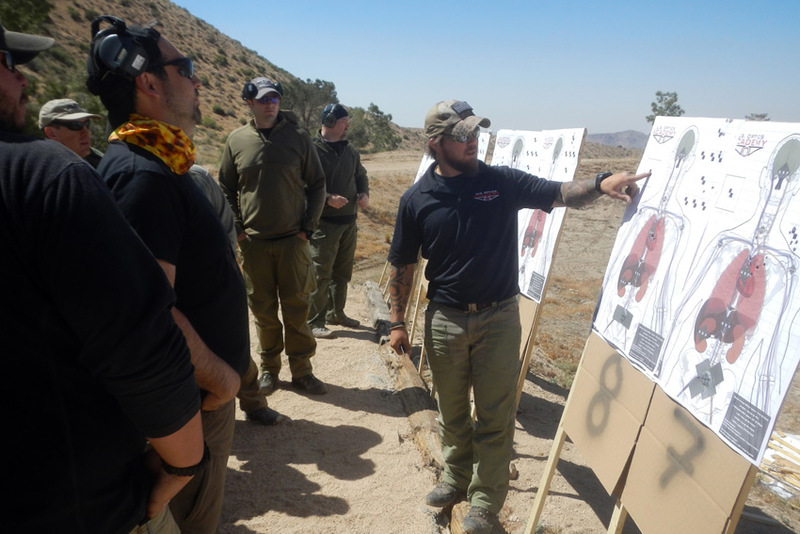 They’ll also be offering a Long Range Precision 2 class covering more advanced topics, with the prerequisite of taking LRP1 before you sign up for LRP2. 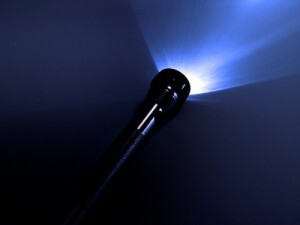 The class material is solid and Tyler Hughes is a passionate and effective instructor. While they intend to announce the schedule of dates soon, at the time of writing this they aren’t online yet. The price will be $895.00 for a two-day course, which includes lodging and food. When I told friends I was headed to this media event, a number of them said that it was something they would love to do and having been through the course now, I can highly suggest that they do.